Hunter: Future Cop, the edgy urban action thriller directed and produced by award-winning filmmaker Gregory Hatanaka will be released at Walmart stores nationally on December 1st and it is also available on demand at Amazon, Google, iTunes and Cable. 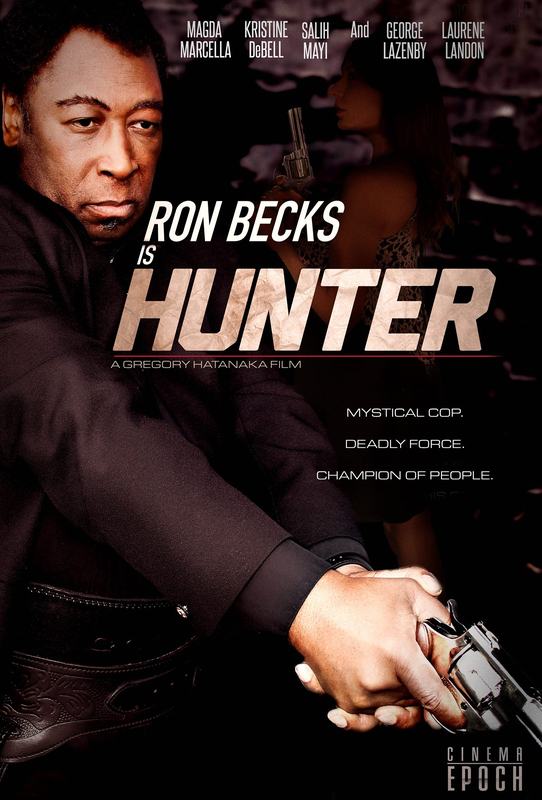 Noted actor Becks is the writer-producer and star of Hunter where he plays the title role of Lt. Ramsey Hunter. Hunter’s life changes drastically when several jarring cases hit him simultaneously. In no time, our fearless hero has to contend with a rogue cop killer, a beautiful Southern runaway serial killer and his corrupt police captain boss blackmailing him. But only one of the cases leads him to an ending of universal truth. Mystical Cop. Deadly Force. Champion of People. Beck’s Hunter is all that and more in this moving thriller that will keep audiences on the edge of their seats. Hunter has a quick draw and a heart of gold in this epic film. From left to right: Actresses Laurene Landon, Magda Marcella, Kristine DeBell and filmmaker Gregory Hatanaka. Photo courtesy of Bob Delgadillo/PR Photos.